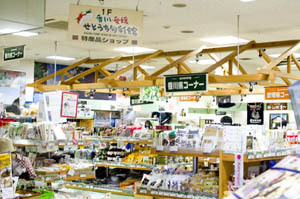 Run jointly by two of the four prefectures located on the island of Shikoku, this fairly large antenna shop sells groceries on the first floor and prepares udon noodles and local seafood dishes in the second-floor all-day restaurant (03-5537-2684). 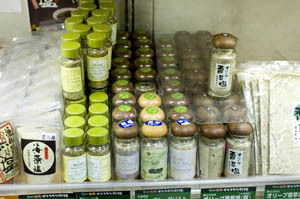 Olives are an important local crop, represented here by olive pastes, olive herbal seasonings, olive curries, olive-leaf teas, and olive oil. 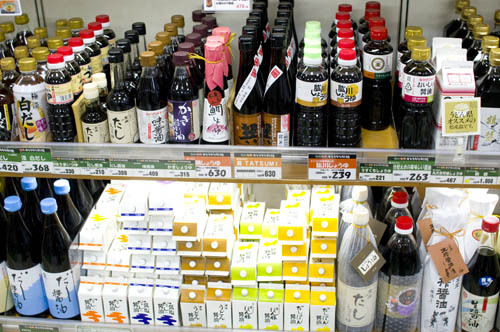 Exotic citrus juices are also big, and soy sauces come in a surprising range of flavors. Fresh produce on sale includes giant eggplants, tiny mikan, persimmons and onions.